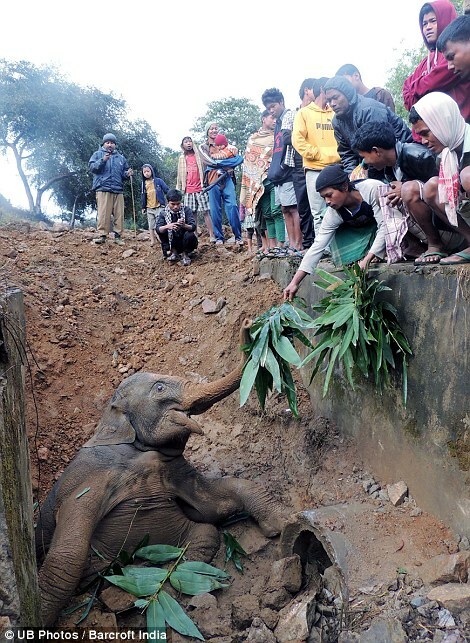 This is the moment a baby elephant tumbled into a ditch as it tried to keep up with its herd. 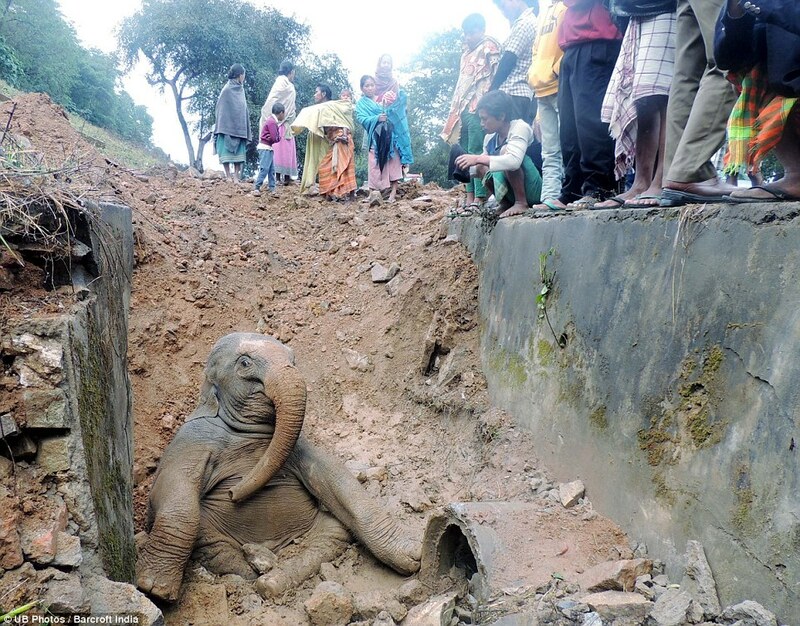 While the rest fled, this little animal slumped down a small hill under a railway track in Assam, India. Thankfully, the train came to a halt and dozens of passengers leaped out to help pull him to safety. 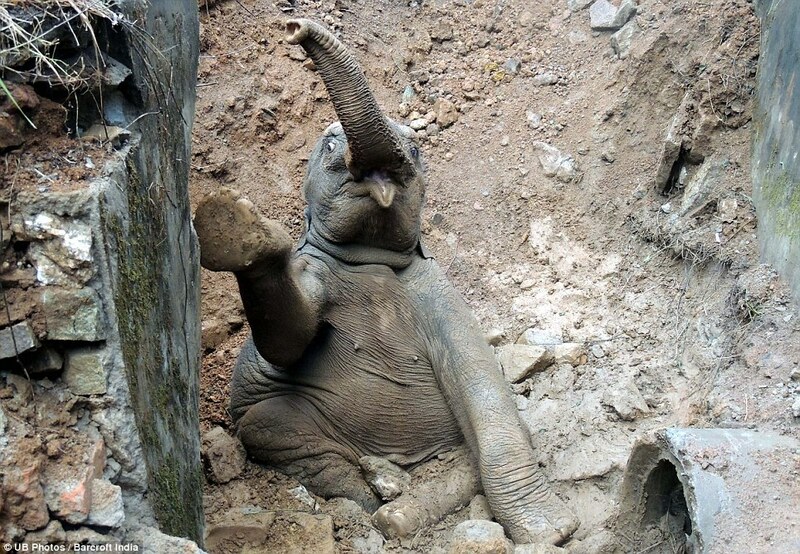 Now, if you’re wondering where the photo of the Elephant actually out of the hole and safe is…well, so are we. Bizarrely, there isn’t one! 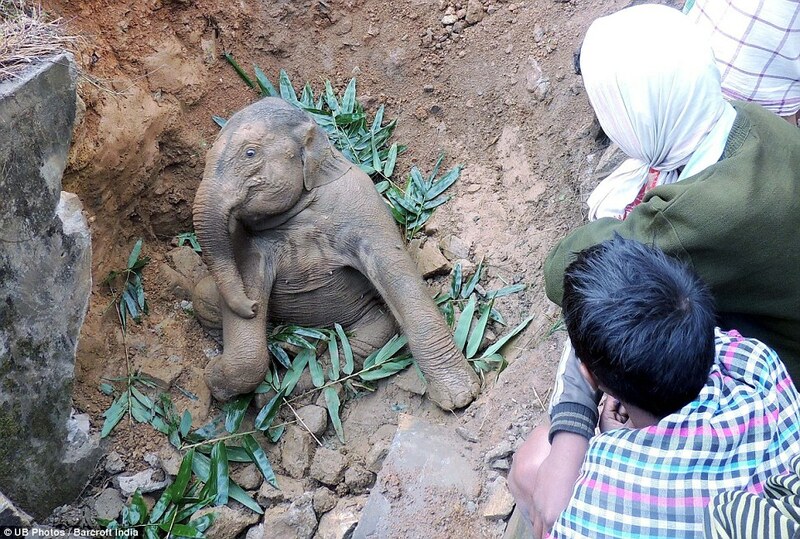 However, we have been assured that the little one was most definitely saved! Previous Post: Kindness Blog Thanks You! 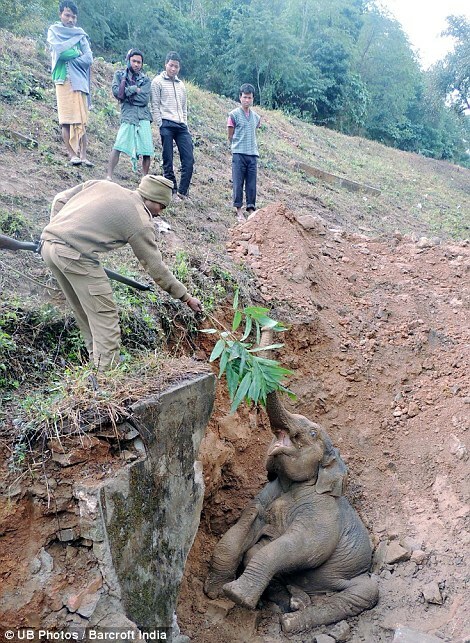 hope it will survive in human care, they are rescued, but mostly we get the bad news thereafter. 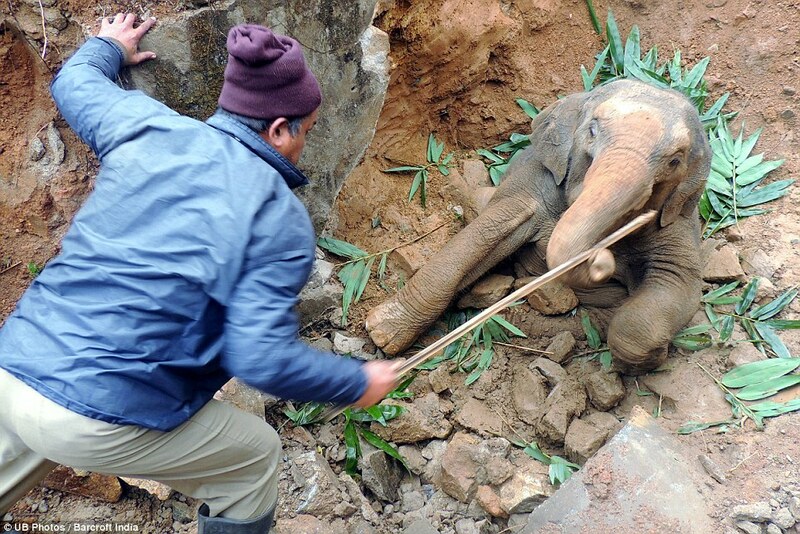 This was an act of kindness, but hopefully people will not exploit the situation, as sharmishtha says. 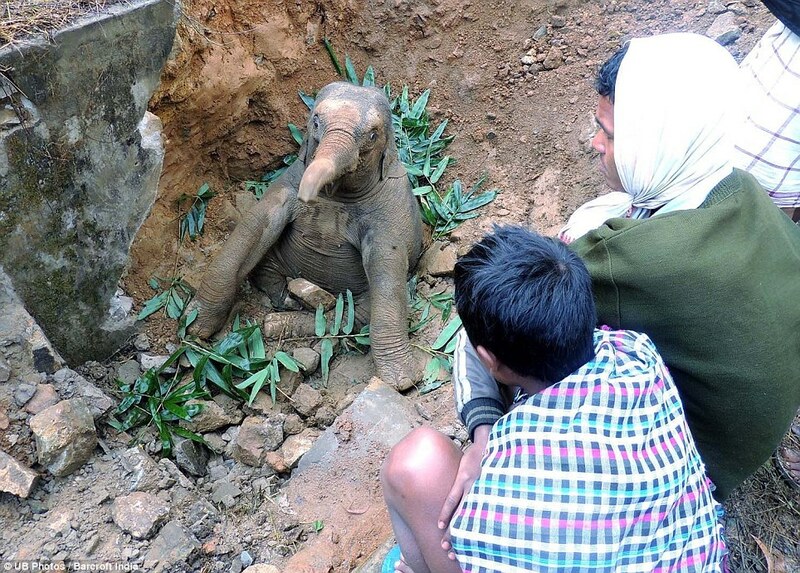 This is beautiful, this is acting the way God intended for us to act, kind and decent even when there was nothing for the human to gain from the kindness.